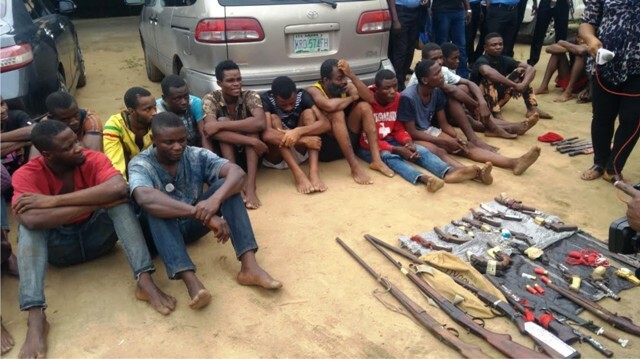 Suspected criminals paraded by Cross River State Police Command in Calabar, recently. 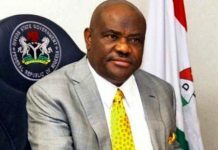 Market women, youth groups and commercial motor cyclists in Ikwerre Local Government Area of Rivers State have declared their unflinching support for the re-election of Rivers State Governor, Chief Nyesom Wike, citing his outstanding performance as the reason for their endorsement. 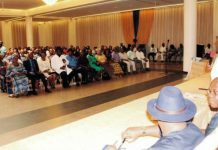 They declared their support for Wike during the sensitisation tour of One Million Youths for New Rivers State in Ikwerre Local Government Area, yesterday. The market women, youths and commercial motor cyclists in unison said they would work for the re-election of the governor because his projects have impacted their lives positively. Chairman of Ikwerre Local Government Area, Hon Samuel Nwanosike stated that the antics of the opposition would fail in the area because the people are with Wike. He noted that key projects such as Isiokpo internal roads, Ipo-Airport Road, General Hospital, Isiokpo and the reconstruction of basic schools in the area have transformed the local government area. 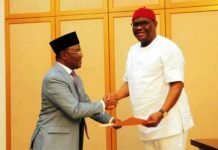 The LG chairman noted that the decision to re-elect Wike flows from the fact that more projects would be attracted to the area during his second term. 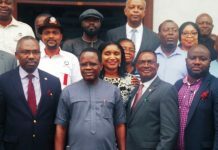 Coordinator of One Million Youths for New Rivers State, Hon Ehie Edison assured that the youths would continue to drum support for the because he was youth-friendly. He said since the creation of Rivers State, no administration has offered youths more opportunities in government than the Wike administration. 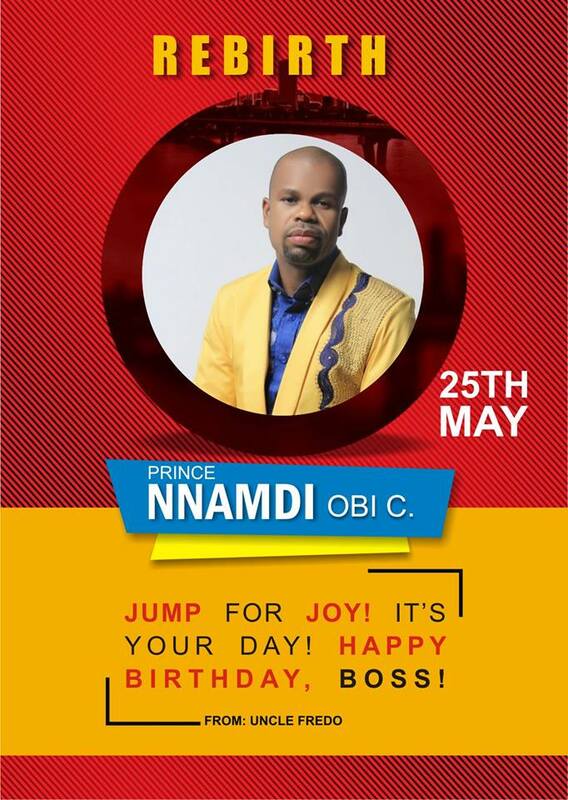 He declared: “All Rivers youths will stay at the INEC office and defend their votes. We will not be intimidated by the use of SARS, military or thugs. We shall stand firm to defend votes cast in favour of the PDP and Governor Wike”. 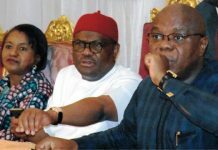 Secretary-General of the One Million Youths for New Rivers State, Mr Major Jack noted that the large turn-out of the masses in Ikwerre Local Government Area indicates that Governor Wike’s re-election was a foregone conclusion. Thousands of residents responded to the sensitization tour which was marked by rallies, distribution of handbills and direct reach-out by One Million Youths for New Rivers State volunteers. Highpoint of the occasion was the acceptance of APC decampees into the PDP. The spokesman of the decampees stated that they are impressed with the performance of Wike. Meanwhile, the Rivers State Governor, Chief Nyesom Wike has challenged the contractors handling the Rivers State Judges’ Quarters to ensure that they deliver the project in the next two months. Wike also assured the people of Rivers State that his administration would deliver on the Real Madrid Football Academy. Wike spoke, last Monday during exchanges with contractors while on projects inspection. 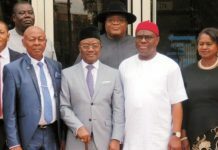 The governor was accompanied on the inspection visit by two state lawmakers, Messrs Ehie Edison and Major Jack. At the Judges’ Quarters, the contractors were seen concluding roofing work on most of the buildings. The governor was informed that roofing work would be completed in one month, while landscaping would be concluded within the next two months. The governor stated that work will be sustained at the Real Madrid Football Academy in Port Harcourt, since the contractors have tackled the most difficult aspect of the project. He said that his administration will continue to deliver on projects delivery till his mandate is renewed in 2019. Wike was celebrated by workers at the site of Rivers State Judges’ Quarters.